Thank you for joining me for another Soapbox Spotlight! 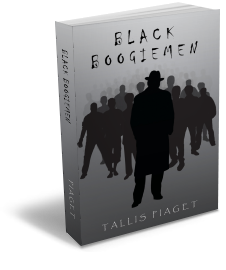 Today’s guest is Tallis Piaget, author of Black Boogiemen. Tallis has spent most of his professional career as–get this–a biochemist, but has spent the last two years honing his creative writing skills. Tell us about yourself, Tallis. I am the author of the critically-acclaimed book, Black Boogiemen. 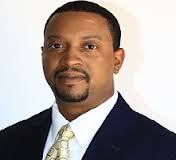 I am the executive editor of the Insight2Incite Magazine, as well as a co-host of the Insight Radio Show. Though Black Boogiemen is my first published material, I’ve has been refining my craft for over 20 years. I have undergone strenuous training in proper scientific, technical writing, and I’ve written creatively for years. These two skills culminate into a unique writing style that’s leaving readers unable to close this book. I am now earning my Masters in writing and plan on becoming a college professor. Yes I do. In my fifth grade class I was introduced to an idea called “creative writing”. Before then, I only remember writing papers in more of an essay format (i.e. book reports, history papers, civic papers etc.) Well, in this creative writing class, we were shown how to free write, and we were encouraged to create our own worlds with our words. I loved it! Not only did I love it, but I excelled at it. My teacher constantly commended me on my writing and imaginative mind. The rest is history. The hardest part of writing is the editing process. For a true writer, writing is actually quite easy. It’s having to reread your work and seeing all of the mistakes that’s agonizing. Also, getting the critiques from your beta readers can really hurt your feelings. So the editing process is the most arduous part of the writing process. Did writing this new book teach you anything, and what was it? Yes indeed. If it is one thing I learned from writing this book, it is that we can truly do anything we set our minds to. I’ve always wanted to be a writer, but for some reason I believed it to be out of my reach and more of a dream. So accomplishing this writing feat has shown me that I can truly reach the stars if so choose. I can truly live my dreams. My greatest strength as a writer would be my analytical skills (intellect), and my ability to relate to almost anyone, and my unique way of thinking. That relator skill allows me to build characters that leap off of the page and cause the reader to feel as though he knows my characters personally. My analytical skills allow me to build scenarios that seem plausible and believable as opposed to situations that lack a logical flow. And my unique mind forces me to think of stories that are extremely original which is important for any good author. Can you tell us about your main character? My main character is Dr. Branch. He is a PhD biochemist that was raised in the worse parts of the inner city. He grows to become a world renowned scientist and of course leaves the impoverished community in which he was brought up. He soon suffers a horrific calamity which causes him to become the leader that this country so sorely needs. His tragedy becomes the catalyst needed to morph him into one of the most powerful people in history’s tomes. He is somewhat a genius, he is a prolific speaker, and he believes himself to be extremely honorable. Mainly, Dr. Branch truly represents the dichotomy of man: a really good person, that can do some really bad things. How did you develop your plot and characters? What genre of books do you read, or do you stick with the genre you write in? I prefer sci-fi and fantasy. The worlds those writers build are just majestic, and it is such a pleasure visiting those ancient, mythical realms or visiting those distant future planets. I do force myself to read non-fiction; I consider that exercising my brain. But I prefer to read some good fiction. What was the hardest part about writing this book? The hardest part about writing this book was airing black America’s dirty laundry. When a person expounds on their ethnic group’s issues, usually they are ostracized and are considered pariahs. The older you get the more you realize that people hate to hear the truth. Though this book is fictional it is still filled with tons of truth. To write some of the horrific statistics and to divulge some of the inner city machinations was really hard to do. Would or have you considered writing in another genre? Absolutely… I am an original thinker, I can not confine myself to one mode of writing. So I am writing a mythical book, and I am also working on a great scifi novel. I do not want to bore people with the same ideas over and over. So I try my best to think outside the box. I want to be known as a prolific writer and that will never happen if I stick to one genre. There is certainly a message in my book. It is actually a universal message. It basically states that if the proletariat ever wants their lifestyle to improve they must be the ones to initiate that process. To expect the government to change anything is being naive. It’s the systems job to keep status quo, and if we the people want a better life we will have to be the ones to get it. We can not wait for any outside source to help us, we should and we can rely on ourselves. And one final message is that each individual has the power to be something great, they just have to believe. Thank you for joining us, Tallis! Facebook and twitter name is simply “Black Boogiemen”.